REScheck Compliance Using REScheck REScheck,Manual J, Manual D, Manual S | $79 RESchecks & Manual Js. $79 Any Plan. Any State. The reason why REScheck is so popular and well liked in the construction industry is it allows builders, architects, building inspectors, sub contractors, and homeowners to create one singular game plan in regards to making their home energy efficient. REScheck is the number one choice to create an energy audit for home alterations, new construction, or just an addition to an existing home. With modern IECC codes, each element of the building envelope must meet rigid standards and REScheck software allows everyone involved to have a clear picture of this easily. What does rescheck actually calculate? REScheck looks at a number of variables and assigns them a value based on their U-factor and the total area of the component. It works on plethora of different building components and home styles. These reports accepted at many building departments across the country. Even if a building inspector does not require a REScheck energy report we still have plenty of homeowners, builders, and architect purchase one just to see if the home they are constructing has any insulation gaps. This might be a good idea for you too. REScheck makes the calculations easy because you can use the software almost anywhere you have a computer. Whether you choose to use REScheck software that downloads directly to your computer, or the cloud based version of REScheck web, you should be able to create pleasing results if your new home construction project was designed with care. A multitude of our REScheck energy audits come from homeowners or builders who would like to become more efficient with the software. We gladly help anyone and everyone who needs REScheck help and take pride in teaching others this wonderful system. If you have a question about a REScheck report you are having trouble with, feel free to visit us at our website. We just integrated 24 hour live REScheck Help chat so that we can assist people with REScheck questions any time of day. Anytime we are working on a REScheck, our specialists are available to chat. You will not find another group with more REScheck experience, customer service, and willingness to lend a hand. Give it a try. 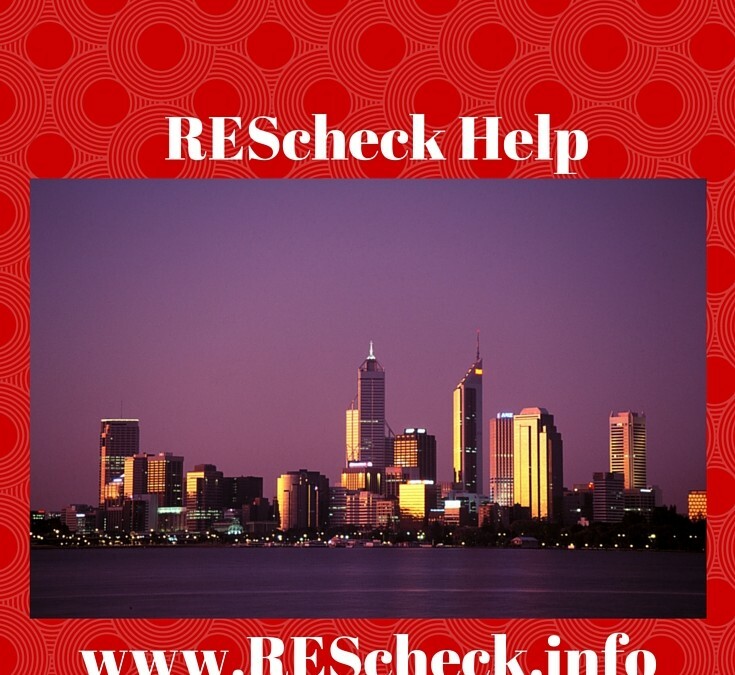 Have you had a problem completing a REScheck and need assistance? Join us on www.REScheck.info for live REScheck help chat, Facebook, Twitter, Pinterest, Houzz, Tumblr, Bloggr, or Google + for help.